America has its fair share of beautiful cities but only one of them takes the crown: San Francisco. 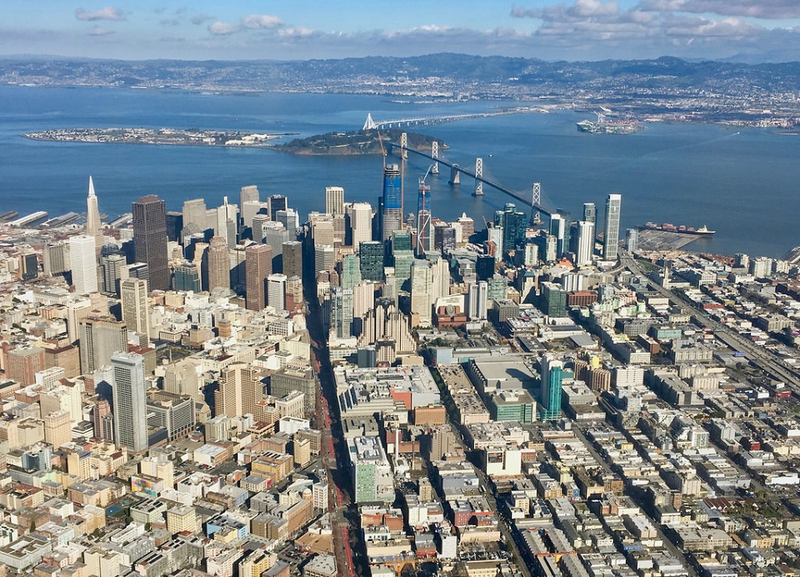 Located in northern California, San Francisco is a lovely town that combines a beautiful setting with amazingly eclectic architecture and one of the most diverse populations in the United States. The area around San Francisco is also magnificent as you can find some of the world’s best wine producing areas such as Napa Valley only a short drive away. If you are traveling to the United States and are a citizen of one of the 38 participating countries of the US Visa Waiver Program that can enter without a visa it is important to apply for an ESTA authorization for the United States before boarding your flight. San Francisco has so many attractions and sights to visit that it can be difficult seeing them all in one visit. In order to make the most of your trip we have selected some of attractions that you must see at all costs during your trip to America’s most beautiful city. 1. 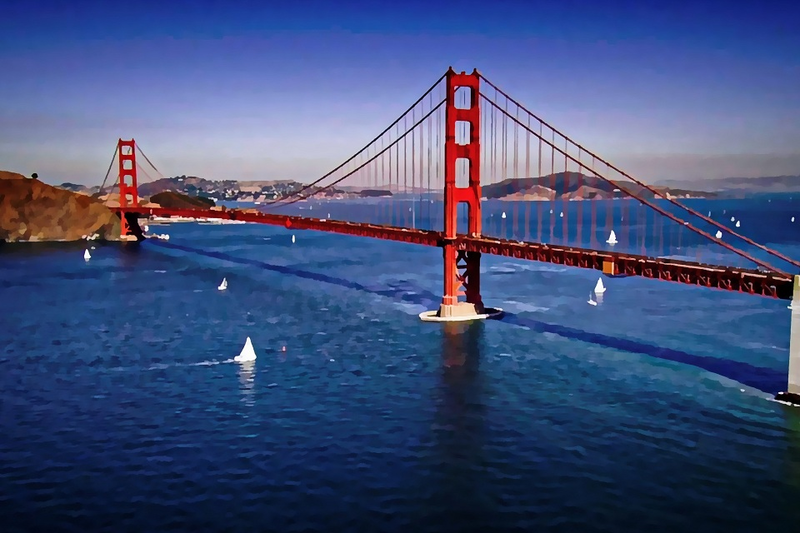 Golden Gate Bridge – The symbol of San Francisco is an amazing sight to see. The bridge was the longest span bridge in the world from the time it was completed in 1937 up until 1964. It connects San Francisco with Marin County and measures a total of 1.7 miles. It is the most photographed bridge in the world. 2. 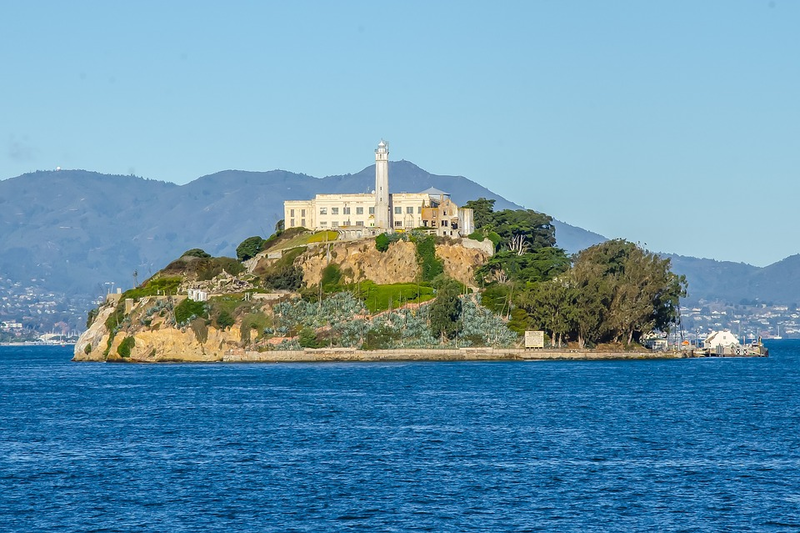 Alcatraz – The infamous island prison located in San Francisco Bay served as a federal prison until 1963. It housed some of the most notorious criminals in the United States including Al Capone, George “Machine Gun” Kelly and James “Whitey” Bulger. Alcatraz is known for the fact that no inmate in the prison ever escaped successfully (although 36 unsuccessful attempts were made). There are tours to the island and it is highly recommended to visit. 3. Fisherman’s Wharf – This neighborhood on the northern waterfront in San Francisco is a very popular tourist venue. Numerous attractions can be found here including Pier 39, a pier that has been converted into an attraction with numerous restaurants, shops and an aquarium. A visit here will not disappoint. 4. 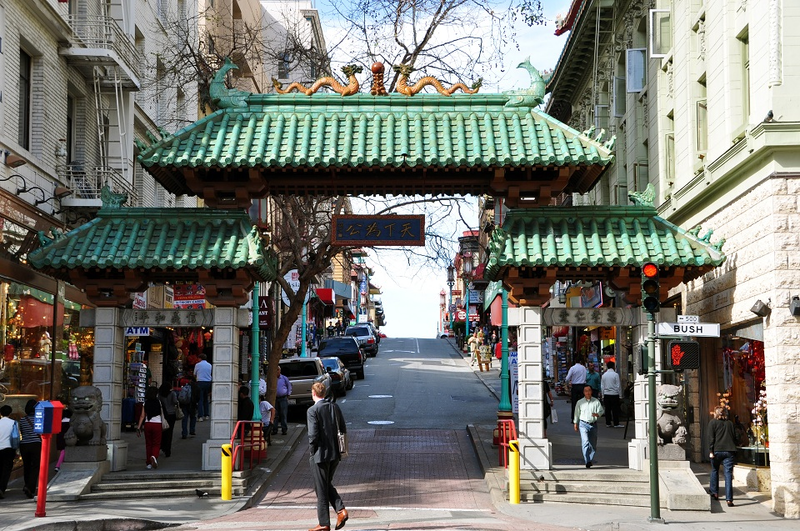 Chinatown – San Francisco’s Chinatown is the oldest and largest in the United States. It houses the largest Chinese community outside of Asia and is a real treat to walk its streets and experience its very authentic atmosphere. There are numerous delicious Chinese restaurants in this district. 5. 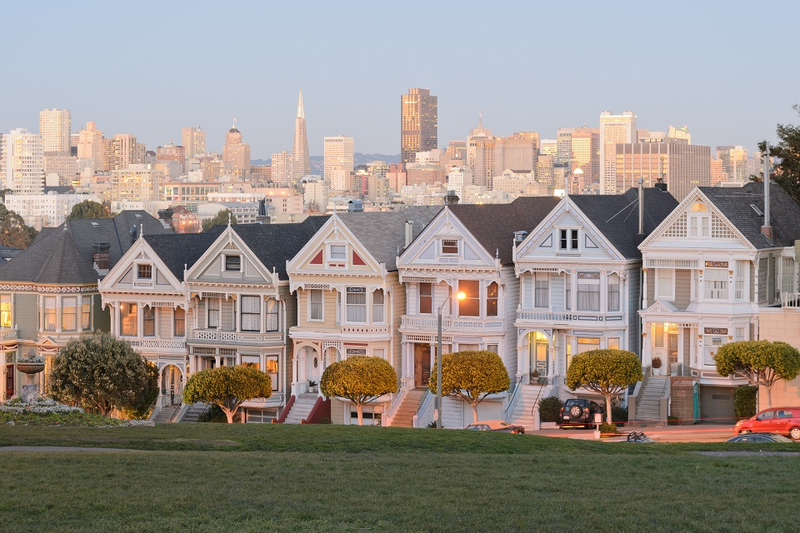 Painted Ladies – San Francisco is home to the largest collection of Victorian architecture in the United States and the “Painted Ladies” are the best example. The term “Painted Ladies” is used to describe the Victorian and Edwardian architecture houses that were painted in three or more colors. The best example of these beautiful homes can be found in Alamo Square. These homes along with Golden Gate Bridge are considered to be the symbols of the city. 6. 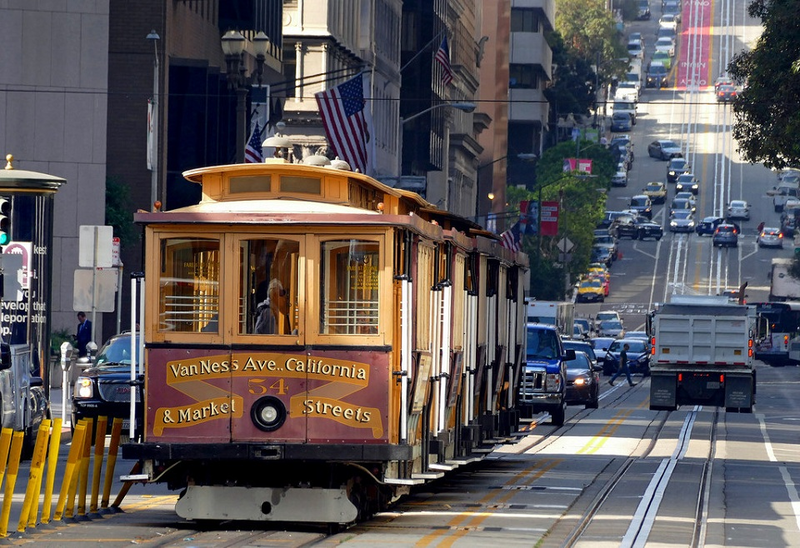 Cable Cars – One of the few American cities where you can still ride a cable car, San Francisco’s own cable car is the world’s last remaining one that still manually operated. Three lines still remain and are one of the city’s great symbols. 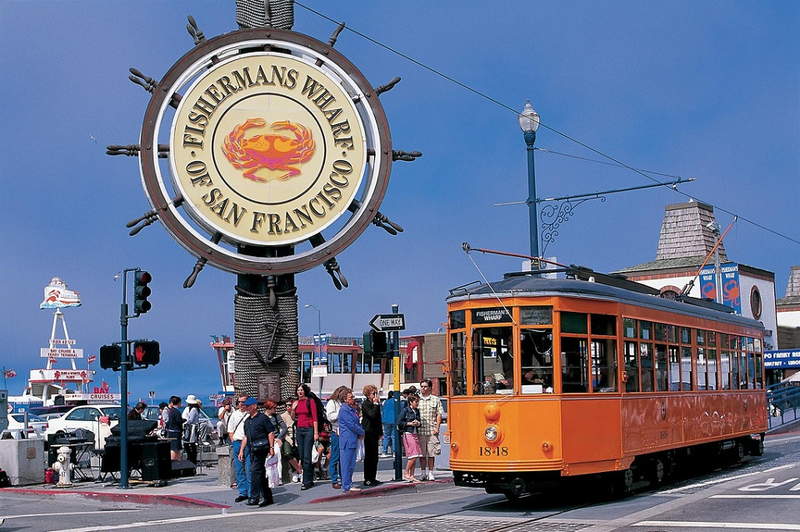 You can take a cable car from Union Square to Fisherman’s Wharf. 7. 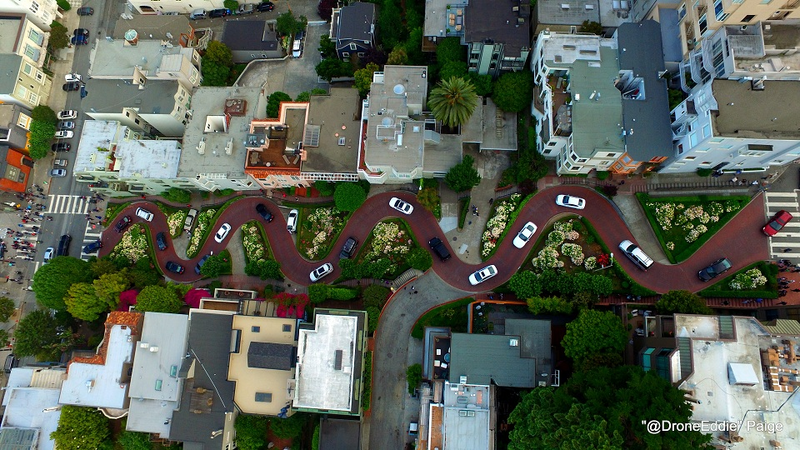 Lombard Street – One of San Francisco’s most famous streets, Lombard Street takes a series of extreme and steep turns that have earned it the fame of the “crookedest street in the world.” The views from Russian Hill to the city are beautiful and there is nothing more fun than riding down those sharp turns. 8. Twin Peaks – These two hills are the highest points in the city and offer panoramic views of an already panoramic city. If you are interested in taking great pictures of the city then a visit here is highly recommended. San Francisco is one of America’s most iconic cities and without doubt its most beautiful. The beautiful mix of geography, nature, architecture and its diverse and cosmopolitan composition make San Francisco a world class city. No visit to the West Coast is complete without visiting this jewel of a city.